Our goal is to design and develop quality products which make every day life easier for parents and children and are good value for money. 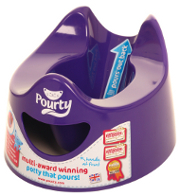 We began with the Pourty Easy to Pour potty and have now launched the Flexi-fit Toilet Trainer and Up Step. 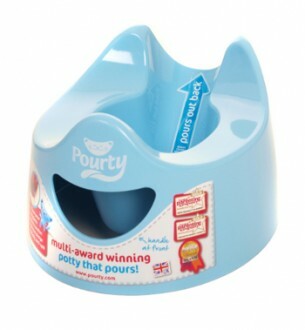 The Pourty Easy-to-Pour Potty is now one of the bestselling potties in the UK. Parents love its unique pouring duct, which enables you to empty the unpleasant contents out of the back with no mess or dribbles. Children find it comfortable to sit on because it has a wide flat seat and is made from a sturdy plastic. The Cradle Cap Massage Brush works amazingly well to gently and effectively eliminate cradle cap and keep it at bay. The bristles are soft and soothing yet firm enough to massage the cradle cap away in a safe and kind way. 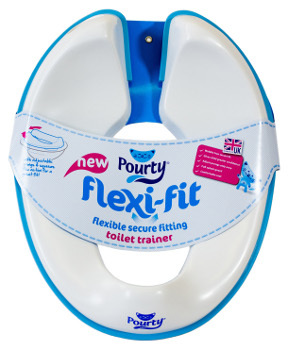 The Flexi-Fit Toilet Trainer has a unique squeeze flex action and adjustable prongs so that it fits securely to most shapes and sizes of toilet seat. This gives the child great confidence when toilet training as they know the Flexi-Fit will not move around or wobble as happens with other toilet training seats. The Up Step is uniquely taller than most other step stools measuring 21 cm. 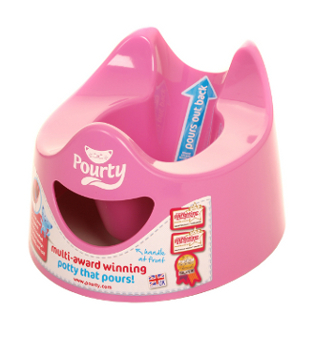 This makes it easier for a child to get on and off the toilet and to reach the taps. 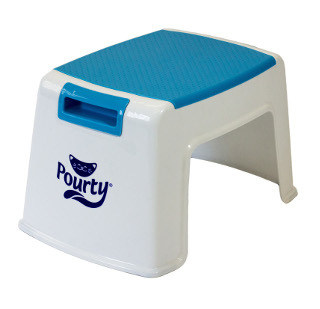 It is sturdy and stable with a non-slip top and base and children can support their feet on it whilst going to the toilet which is better for them.